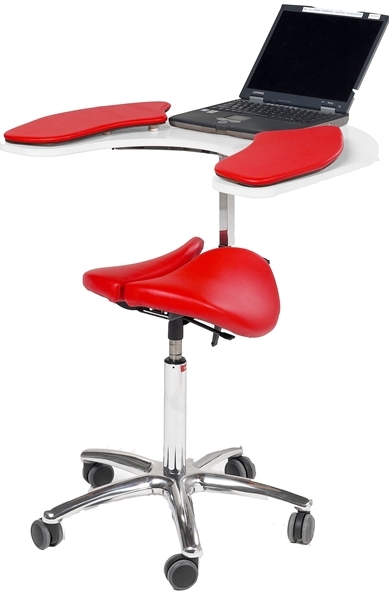 All the health benefits of saddle sitting combined with an integral ergonomic wrap-around workstation. Ideal for confined work spaces in both office and home. Includes Salli Classic saddle chair and table accessory. 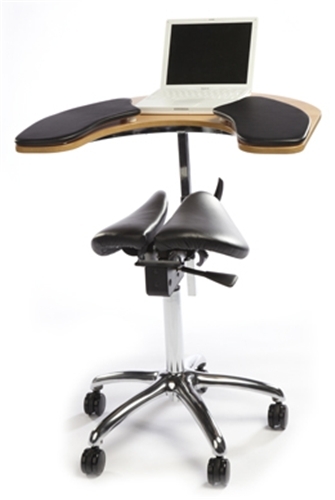 All the health benefits of saddle sitting combined with an integral ergonomic wrap-around workstation. Ideal for confined work spaces in both office and home. Recommended as a mobile workstation for schools, lectures and training events. Suitable for control rooms and PACs reading stations. 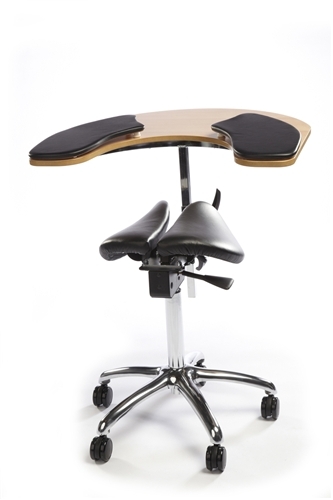 Also works well as a rehabilitation aid or as a workstation for people with balance disorders. Includes Salli Classic saddle chair and Elbow Table accessory. Twin & Multiadjuster split-saddle options are also available. Includes black leather elbow pads. 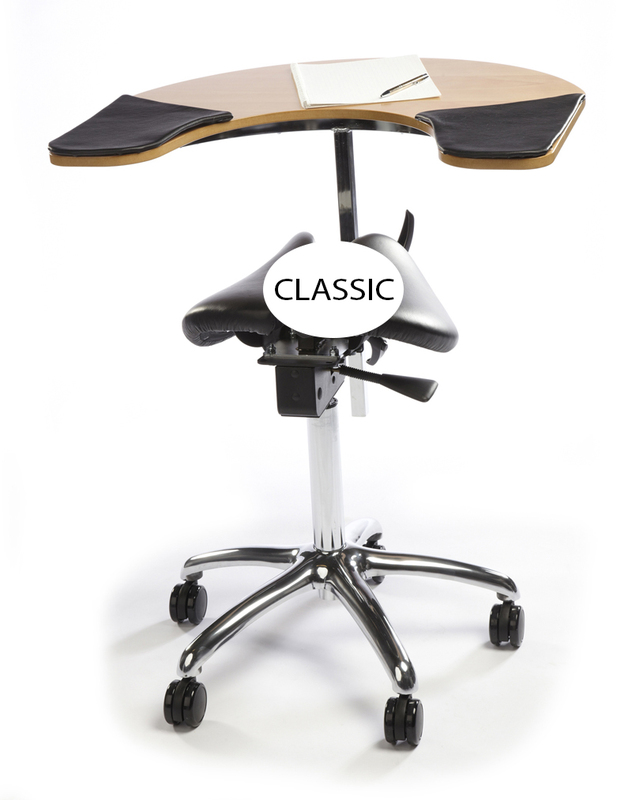 Compatible with non-tilting Salli Twin, Classic, and Multiadjuster saddle chairs. The Salli Elbow Table cannot be attached to a tilting seat. Seat is constructed of heavy duty 3mm steel covered with high quality contouring foam. Premium upholstery options for CA TB117 or TB133 flammability requirements. Salli Saddle Chair Comparison Chart. Compare different Salli models. You can work anywhere with the Salli Elbow Table.